Give the numbering from the Apple iPhone? The question of whether to continue numbering new iPhone models arose in 2011 when is iPhone 5 revealed the iPhone 4S. That moment was a turning point for the entire line, and, despite the fact that such an outcome was to be expected, the ordinal number of smartphones lost its former value. 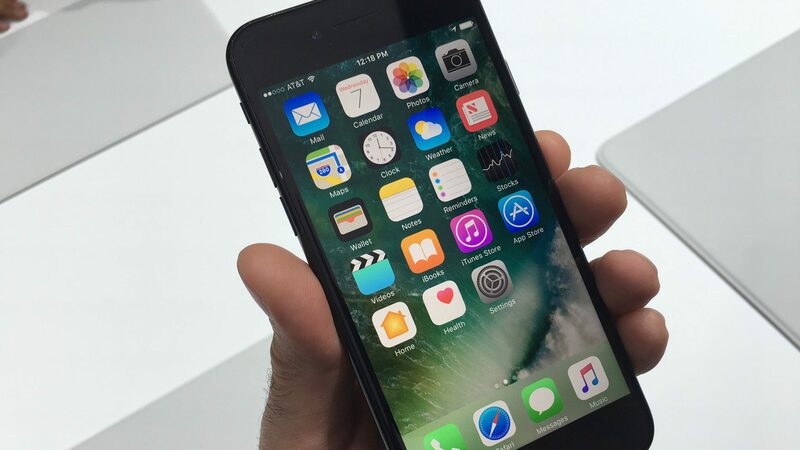 Gradually the situation was compounded by the releases of the “side” of devices like the iPhone 5c and iPhone SE as well as more advanced Plus versions, everything more confusing tangle of variations and modifications. If it goes on, choosing a new model can turn into a real puzzle. Talk of a possible rebranding regained its former relevance in preparation for the launch of the iPhone 7, which, no matter what anyone said, received is identical to the previous models design. And while many fans agreed to forgive the company of her steadfast desire to further exploit already bored of the new colour barely managed to turn “six” into something rethought. Most likely, this should be iPhone 6s – better in terms of hardware, but almost identical in appearance. To clarify also the situation under the force of only the “iPhone 8”, which, in addition to capture the imagination of “stuffing”, tipped to a drastic change of design and glass-aluminum housing. Logically, and taking into account the established practices of the next generation iPhone should get index “7s”. However, the abundance of innovations and conceptual rethinking about which today it is accepted to speak, hardly will keep the Apple from a desire to emphasize the superiority of the new model of all that we had seen earlier. Is this possible? Why not, indeed, experience a “jump” in a generation is quite common in the market, and it does not hesitate to use even such industry giants as Microsoft or Samsung. Only in this case the new product will be incredibly difficult to break through the accumulated kom and clarifying Postfix. What should I do? Of course, change the concept, in Cupertino have been doing successfully for many years. For example, reinterpreting the line of branded laptops, from year to year, complementing and improving. Or, say, a radical reworking of the iPad, which in just five years went from obscure to develop quite professional and even indispensable gadget. The only question is whether applies the familiar concept of “Air/Pro” for the iPhone. Probably not, because the existence of “air” devices has been questioned for a long time, and the fate of professional smartphone looks quite uncertain, if not futile. iPhone what name I would like to see you? Share in the comments.